Julian Aleksandrovich Scriabin (Russian: Юлиа́н Алекса́ндрович Скря́бин, 12 February 1908 – 22 June 1919) was the youngest son of Russian composer Alexander Scriabin and Tatiana de Schloezer. He was himself a promising composer and pianist, but he died at the age of eleven. 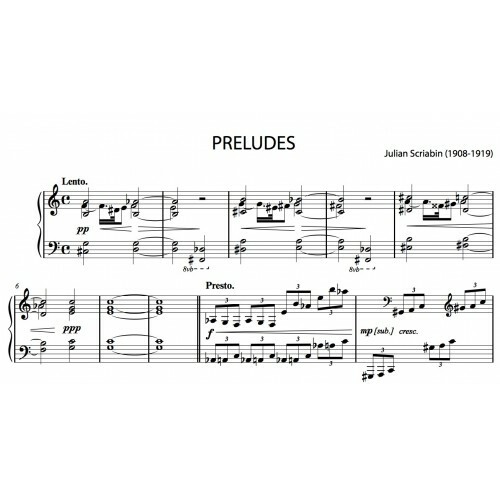 In the last year of his life he wrote four preludes in his father's style. Musicologists have described Julian Scriabin both as a successor of his father and as an early representative of the early Russian and Soviet avant-garde of the 1920s.